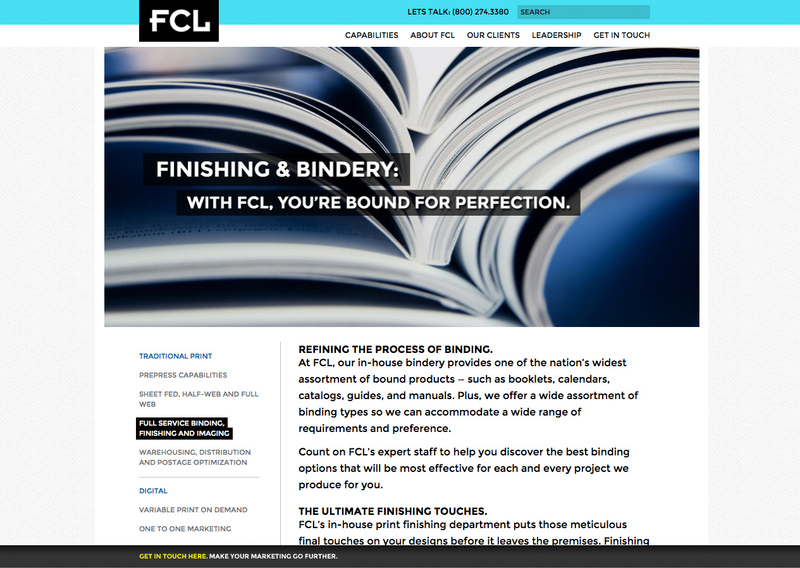 FCL has been a leader of the commercial printing industry for over 40 years. 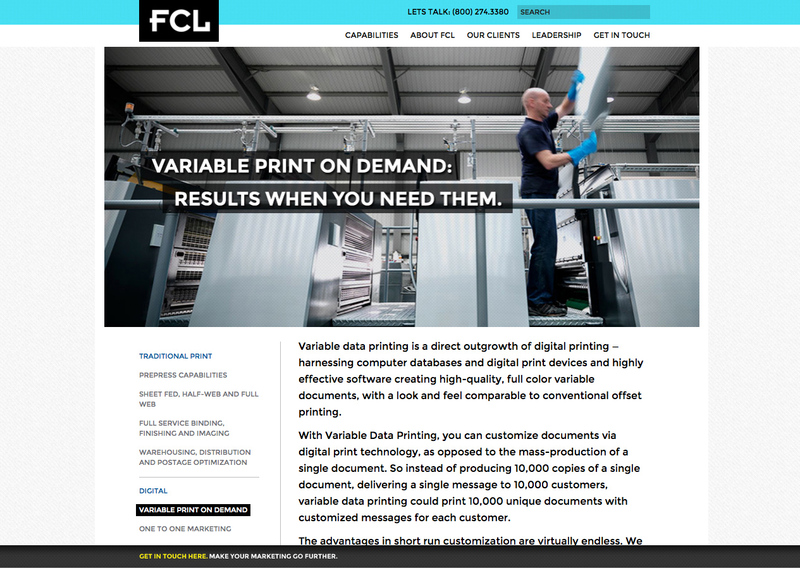 Now popular for their expertise in the production of fully automated campaigns utilizing variable data printing and customizable tracking technologies, the firm’s branding no longer represented who they had grown to become. 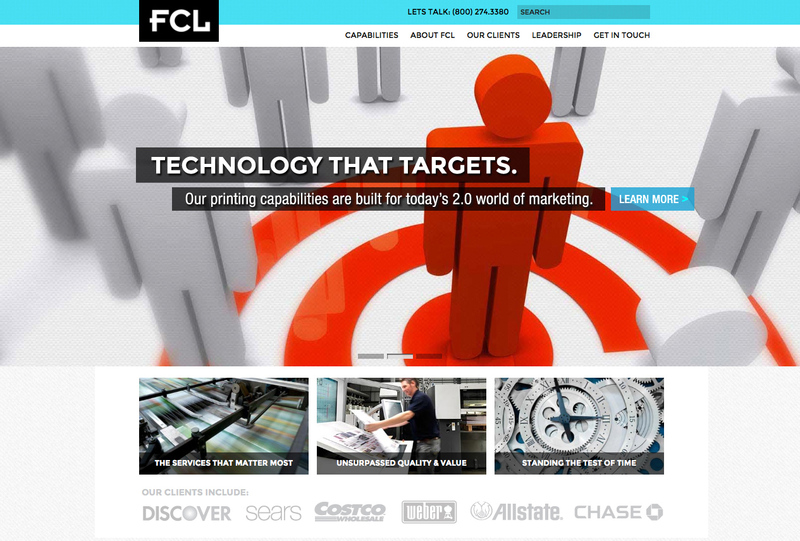 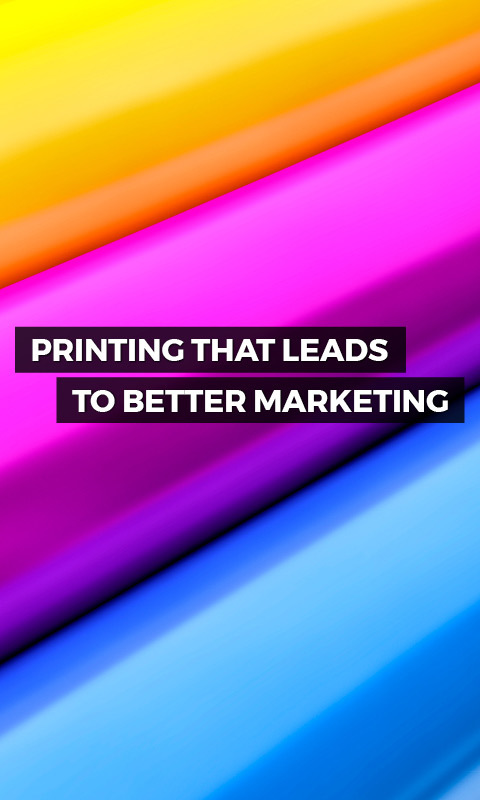 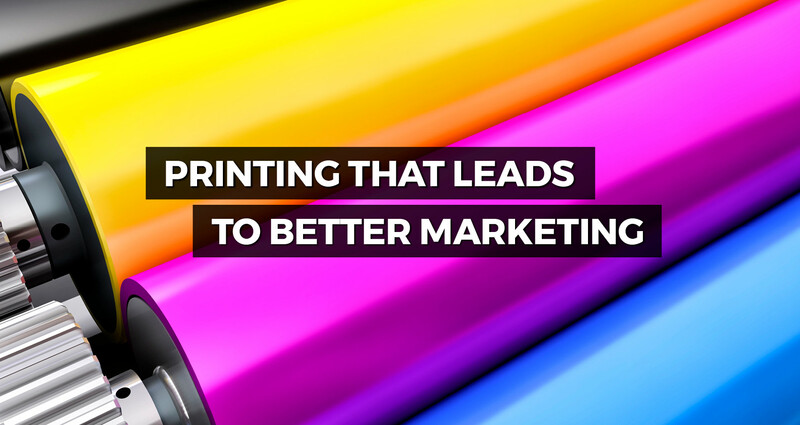 Working closely with the FCL leadership team, Prager Creative led and implemented a complete brand overhaul based on a simple and direct positioning statement, “Printing that leads to better marketing”. 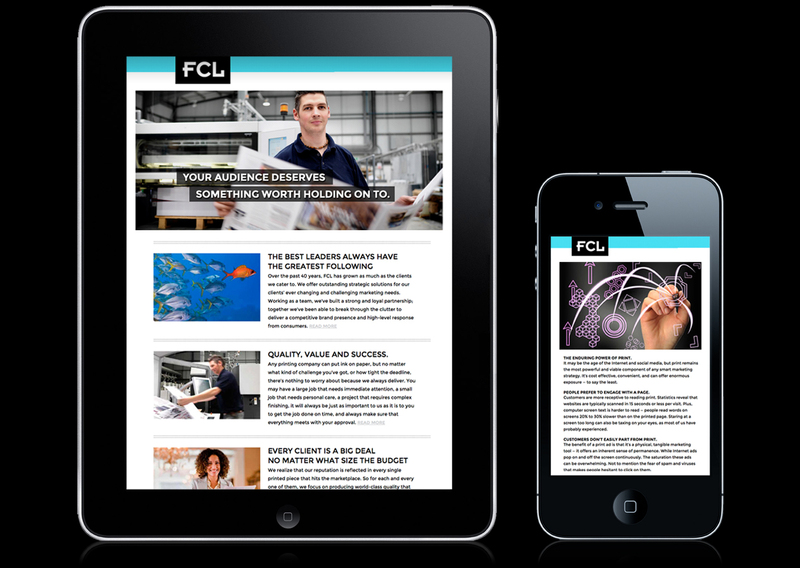 This repositioning extended across key B2B customer touch points, including a complete web redesign and enhanced mobile and social media presence. 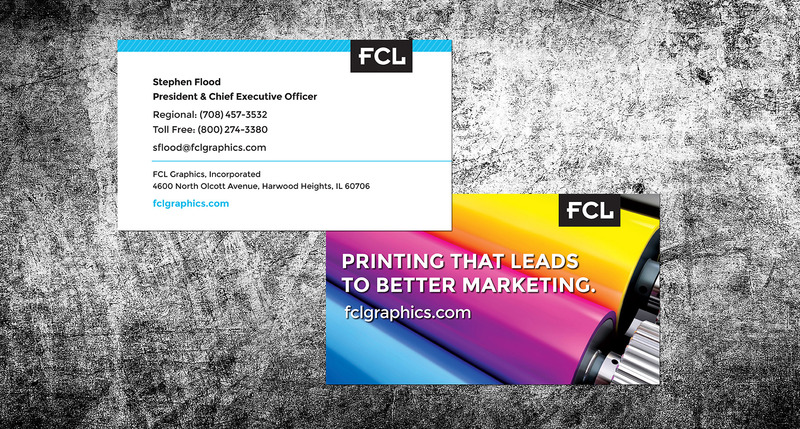 As a result of the brand update, FCL has firmly reestablished themselves as a technologically-savvy print leader that businesses can rely on.